A neat thread from the old forum. Today, we hoodwinked our kids, telling them we were going for a ride to see friends (which was true). 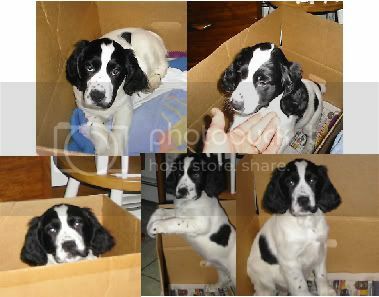 We had to put our 16 year old Springer Spaniel, Valiant, down this past August (old age/failing health), and this morning, we picked up our brand new, 8 week old Springer puppy! So far unnamed, we're letting our son & daughter think up a few on their own. 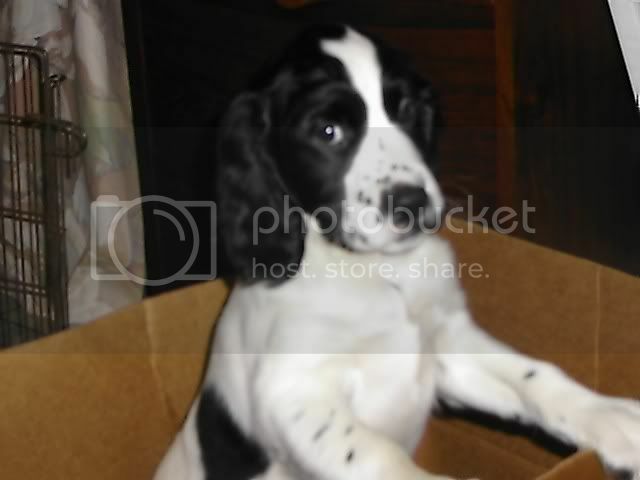 I used to have a brown/white springer. Full of energy ! You got FIVE identical dogs? Wow! I think you should name them Simon, Nick, John, Roger and Andy. Let us know the name when its decided. Congrats on the new family member g.a.b. Theo looks like a real cutie! Theo is definitely a cutie. Did I ever post pictures here of our new dog, Mamie? I don't recall and with the old Forum gone, I can't check. Does anyone remember if I did? We got her two months after Onyx left us. I don't recall seeing pix of Mamie, Bill. I remember speaking of Onyx; perhaps you could [re] post Mamie's portfolio? Btw, I like your new avatar...looks like you've been working out! Here's a shot mf my girls: that's Loki , guarding my napping wife by laying on her; Willow, in her favorite spot, with her head under a footstool so you can't see her (she's part ostrich); and Grey Kitty, trying to get in on the action. Regarding the avatar, do you (or anyone) recognize what that's a picture of? You have to be old to recognize it, trust me! 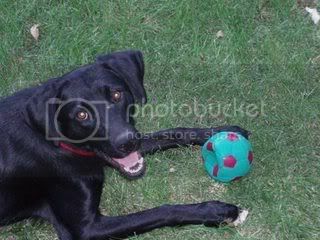 Here's Mamie...the day we brought her home. She was about 11 months old and was found a month earlier in a rural storage facility. She was in rough shape (had already given birth to pups - not with her - had a bad adult dog bite on one of her teats, had lost some hair due to malnutrition and was quite underweight) but the folks at the Humane Society took good care of her and when we saw her at the shelter, well, it was love at first site. We think she is a lab-pointer mix.